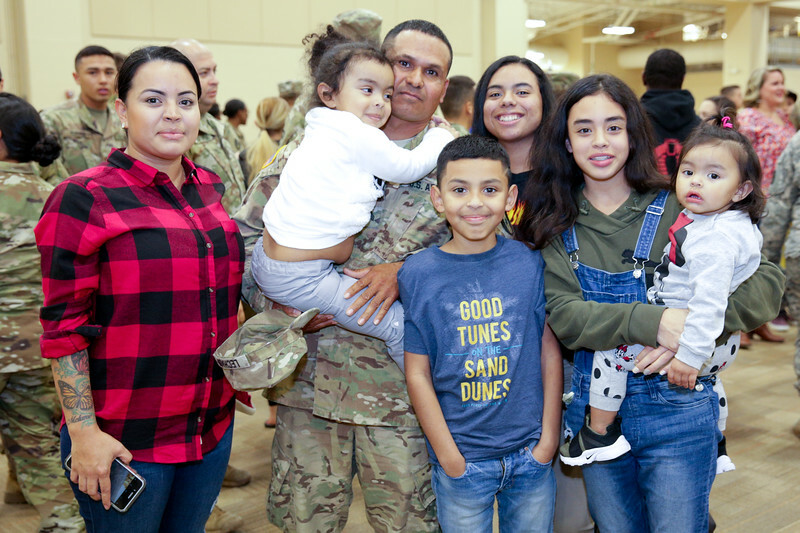 (FORT BENNING, Ga) – More than 100 Soldiers of the 14th Combat Support Hospital, based at Fort Benning, Georgia, returned to Lawson Army Airfield Wednesday, Nov. 22 from their mission in Puerto Rico to provide life-saving and life-sustaining service in the aftermath of Hurricane Maria. (FORT BENNING, Ga) – More than 100 Soldiers of the 14th Combat Support Hospital, based at Fort Benning, Georgia, returned to Lawson Army Airfield Wednesday, Nov. 22 from their mission in Puerto Rico to provide life-saving and life-sustaining service in the aftermath of Hurricane Maria. The 14th CSH command team, Col. Rachele Smith and Command Sgt. Maj. Clarence R. Thomas, performed an uncasing of the colors as part of the redeployment ceremony.